“Room” was realized during the “West Park” festival for art in the open held in June 2013 in Sofia. An area in West Park, Sofia, close to a crossing railway was chosen for a plot of the project. 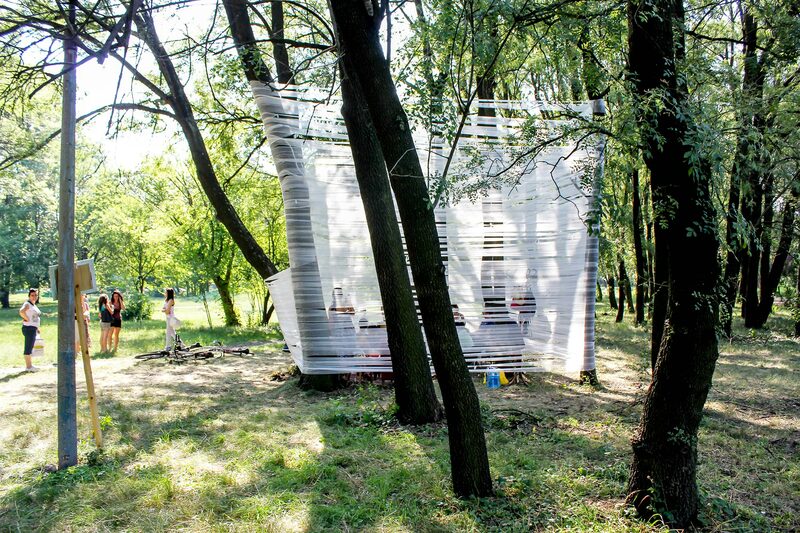 A group of trees was joined together by wrapping them up with bandage up to a height of 5 meters. The semi-enclosed space defined by this subtle boundary was conventionally called “room” and had for its floor – the soil, mud, grass; for its walls – the bandage through which the “inhabitants” could see and be seen from other passengers, and for its ceiling – a canopy of tangled trees. The room was furnished with household items - carpet, chairs, table, mirror, arm chairs. The space, even provisionally marked and defined by a transparent, almost nonexistent material, provoked different reactions - respect of privacy, desire for communication, distancing, sense of belonging, feeling of coziness etc. The ironic situation in which the park was furnished even made it possible to order food at that “address”. Relocation, squatting and transformation of the home are also in the focus of the "Room" project. 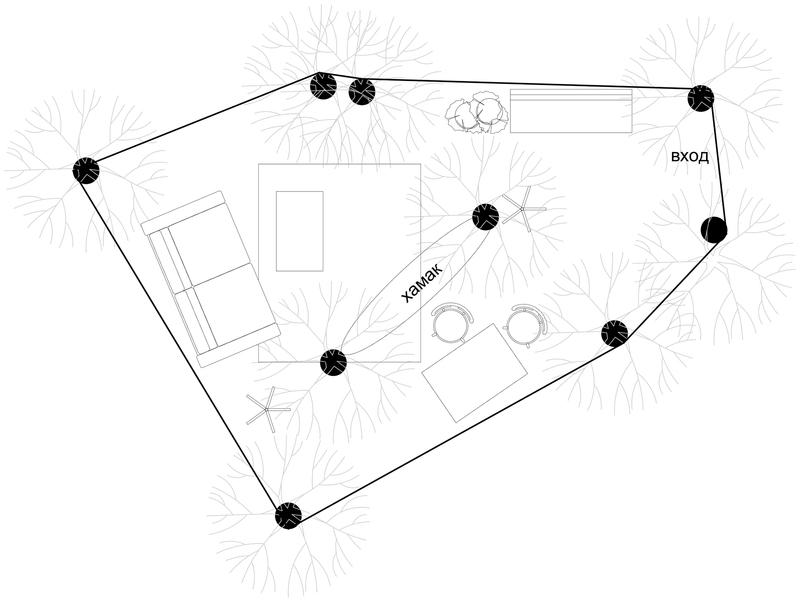 Through this relocation of “home” outdoors or "domesticating" the wild, the project aims to analyze the perception and understanding of the audience of concepts such as private - public, boundary, indoor - outdoor, nature - culture, artistic - natural.